Sugar vs. Fat: Who is the Real Public Enemy? For decades, there has been a heated debate as to whether fat or sugar is to blame for the obesity epidemic. In the 1960s, this debate reached its peak and fat was identified as the primary cause of our general health decline. Its critics branded it as both dietary enemy number one and the root source of obesity. Lately, sugar has returned to the limelight. News headlines claim that sugar is more of a risk factor for obesity and heart disease than we’ve been made to believe. All of a sudden, an extra spoonful of sugar sets us up on the road to obesity, while fat, the former devil, is being promoted under the name ”fat-free”. Confused? You aren’t alone. It seems everyone including chefs and bloggers have an opinion on the matter, often with little to no background knowledge to support their extravagant claims. The truth is, solely blaming one ingredient for an umbrella of health problems is far too sloppy. In fact, scapegoating fat or sugar distracts us from the main path we should be taking. 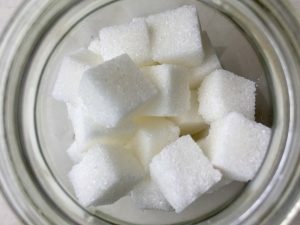 With a general failure in stopping diabetes and obesity epidemics and the lack of substantial evidence that low-sugar diets eliminate most health problems, it is now more important than ever to focus our camera lenses on the sugar versus fat debate and understand how these mini-molecules affect our health. Sugar does make an ultimate dietary villain. And it’s easy to see why — it has no real nutritional value, and it’s backed by syndicates that have spent billions in advertisements to ensure they gave it a clean bill of health. It is believed that the sugar industry worked overtime to make sure that sugar was a welcome part of all diets. And that’s not all; scientists from Harvard were paid to publish a review that excused sugar from the wicked corner, saying that it is not to be blamed for cardiovascular disease. To side-step the focus on sugar, the scientists instead wrote about the role of dietary fats and cholesterol, citing that saturated fat is the root of the problem. As the campaign against sugar intensified, there have been voices trying to redeem fat. For decades, it had been labeled public enemy number 1, and a “low-fat” food label being used to convince us that we were eating healthy. The problem is low fat can either mean vegetables or ”we took all the fat out and then jam-packed it with sugar.” When you take out all the fat out of a product, especially dry ones like cakes, then something has to replace it. And it tends to be sugar — and the calories are almost the same. But what about the case that we should consume more fats in our diet? 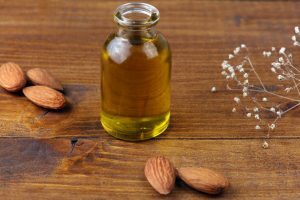 Many have claimed that the drive about cutting all fats when it comes to bad saturated fats was overgeneralized. Others have argued that favoring carbohydrates in our diet especially simple carbohydrates, is playing havoc with our health leading to an increase in diabetes type II and obesity. As luck would have it, the eat-less-sugar campaign won. And people started cutting back on sugar. Much of the reduction came from decreased consumption of soda, which children and adults started drinking less. However, there was still one problem: people weren’t getting any thinner. In fact, data from the Centre for Disease Control and Prevention showed an 8% increase in obesity in a span of just two years. So one ingredient is crucified, people consume less of it, but nothing changes. Based on research done in the 1960s, the virtue of cutting back on fat was at the core of the nutritional canon. The American Heart Association, in 1968, issued guidelines with specific recommendations to reduce animal fat, swap saturated fats with unsaturated fats and lower cholesterol. Consequently, people did take a bit less fat. Intake in 1986 was at 43% and decreased gradually to 38% in 1996. But again, during that same period, people continued getting fat, with obesity levels rising from 22% to 30%. In light of this, I think that telling people to avoid sugar or fat for their health’s sake was a simple strategy that flopped. People did reduce their sugar and fat intake, but they didn’t pay attention to other foods that scored high on the glycemic index (GI). These include foods that have since been linked to diabetes, heart disease, and some cancers. Fats: There is no agreed upon dietary consumption of fat, but the National Health and Medical Research Council recommends at least 20-30% of energy intake. This means cutting down on foods packed with saturated fats such as fries, pizza, biscuits, and cakes. Good Fats: These types of fats are found in nuts, avocados, seeds, oily fish, and vegetable oils. They are needed to keep everything from your hormones and joints to your nervous system and skin healthy. Saturated Fat: These types of fats are mostly found in meat and dairy. They help support brain function and increase calcium absorption. However, too much of it can clog your arteries. Trans Fats: These types of fats are found in some processed foods as well as fried foods. They are packed with artificial ingredients that make it hard for the body to process them. This raises cholesterol levels, clogs arteries and carves a destructive path for your heart. Sugar: In the scientific world, sugar is referred to as simple or complex carbohydrate. Complex Carbohydrates: These types of carbohydrates are found in whole grains, vegetables, and beans. They are broken down into simple sugars, which the body uses slowly for a sustained release of energy. It’s these types of sugars that are healthy and should form the majority of your carb intake. Simple Carbohydrates: These types of carbohydrates are found in white bread, biscuits, and cakes. 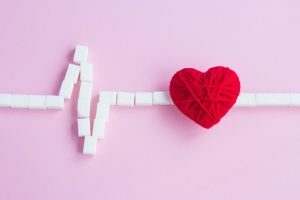 They don’t go through the same type of breakdown as complex carbs; as such their sugars hit the bloodstream pretty fast, causing drastic energy fluctuations that can lead to heart disease, obesity, and type II diabetes. Cut back on simple carbohydrates as much as you can. The question on everyone’s lips now: How much should we eat? And the mantra has been: low-fat, high carb. Our current understanding is that it makes more sense to assess foods on their merit rather than judge them by their sugar or fat content alone, says Brand-Miller. Focusing on a single nutrient and blaming another for our health distresses is a simplistic approach that is often referred to as nutritionism, she says. More and more nutritionists should start appreciating the fact that most diets aren’t made up of macronutrients, such as carbohydrates or fats, but of whole foods. Nuts, for example, have more fat than unhealthy fries. Even fat alone isn’t necessarily a culprit in obesity, at least not as far as a diet including healthy fats is concerned. 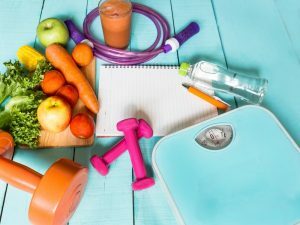 ”Recent studies reveal that compared with low-fat diets, healthy foods which are high in good fats, like olive oil, promote better weight control, and reduce the risk of stroke and heart disease,’’ Brand-Miller explains. According to Brand-Miller, the low-fat, high carb message for weight control has been unaccommodating. She says that we should stop counting the amount of fat or carbohydrates in food. Instead, we should select foods based on their strengths and ability to keep us feeling full for long. In other words, go for lean protein-rich foods, and supplement with plant sources such as beans and nuts. Similarly, swap high GI carbs for their low GI counterparts. Opt for traditional oats instead of breakfast cereals. Choose the wholegrain bread with visible grains rather than the finely ground one. Your body is a Reflection of what you are. If you want to look healthy you will have to be healthy. As public rage built over the status of sugar, two identical twin doctors set out to conduct a fascinating experiment to see who the real devil is: fat or sugar? 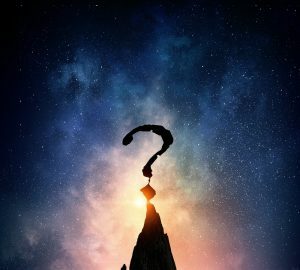 Chris and Xand van Tulleken, pushed themselves to the extremes in a bid to devise an innovative challenge that tried to answer this question. As identical twins, they have the same genes. Xand, Fordham University’s director of Institute of Humanitarian Affairs, adopts a high-fat diet with only 5 percent carbs while Chris goes on a super low-fat, high-carb diet. Their month-long quest sees them both lose weight. However, weight loss was more effective on the low-carb diet adopted by Xand. This shows that on a low-carb diet, one quickly loses a kilo of glycogen and water weight. At the end of the exercise, neither fat nor sugar was entirely to blame, and the real villain, a formidable combination of sugar and fat in processed foods had taken a backstage seat and was enjoying itself on a symbolic exile treaty-free holiday. Shifting the health blame onto sugar and fats just distracts us from the real factors that contribute to obesity, says Proietto. His long list of culprits includes inactive lifestyles, lack of sleep and circadian rhythm interruptions (caused by exposure to light at night). Other offenders include health complications, including thyroid problems, and some drugs, such as medication used to treat diabetes type II, and some mental illnesses. Scapegoating sugar and fats also makes it easy to overlook other eating and drinking habits that contribute to weight gain. Many people eat foods and drinks that are loaded with lots of sugar and fats. 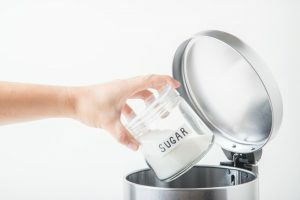 However, sugar or fat in isolation isn’t to blame — it is the combination of sugar, fats and carbohydrates in processed foods that is the real culprit. All chocolates, cakes, biscuits, sweets, fruit juice, fruit yoghurts, breakfast cereal and soft drinks. Don’t treat this as a deprivation exercise — instead, view it as halting an addiction. You’ll most likely suffer withdrawal symptoms for a while and crave food now and then, but substitute these snacks for good ones and persevere. Once this is over, you’ll notice that you no longer have cravings and you’ll feel more in control of your appetite. Once you release your body from the sugar cravings, you can then eat them with an entirely different mindset — for fun. If you have some routines in your life that are closely related to eating sugars, you may have to give them up for a few weeks. For example, if you often find yourself reaching for a bar of chocolate after exercising, as odd as it seems, you may have to give up running for a while to allow the cravings to lessen. In the same way, if you have a habit of watching TV while snacking, find another hobby, like reading or going for walks. Whenever you have a food craving, stop for a moment and monitor your own responses. Studies show that taking some time to recognize and reflect on your physical and mental state causes cravings to dissipate. Stop and ask yourself why you really want this. How am I feeling? Even though this may not work at all times, always pausing to scrutinize your choices leads to healthier decisions. Other research shows that envisaging desired results can help you see through it. Pause for a while and try to visualize, as intensely as you can, the rewards of making the right choice. For instance, imagine yourself twenty pounds lighter, and how you will look and feel like if you constantly eat a hale and hearty diet. 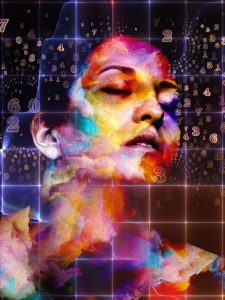 Scientists have suggested that visualising negative effects help people make good decisions. For instance, imagine finding out you have diabetes or imagine weighing 30 pounds more. This may seem counteractive. After all, one serving of ice cream isn’t going to make you diabetic. But exaggerating the harmful effects of unhealthy choices will make a habit less appealing. The aim here is to assist you to make the best choices, and not feel bad or shame yourself. Sugar plus fat plus refined carbohydrates equal diabetes, cardiovascular disease, and obesity. After weighing up all the evidence we have, it is only safe to say that neither sugar nor fat is the real enemy. The culprit is the company they keep. In short, it’s processed foods that are rich in fats, sugars, and refined carbohydrates. If we can start being mindful of everything we eat, we’ll be on our highway to good health. It’s not a short term Diet. It’s a long term Lifestyle Change. SmartMinds is a values-driven organization that is passionate and committed to facilitating global change. We are an organizational development consultancy that provides world-class content & training for Leaders in Organizations towards transforming company culture. Subscribe to know when we are in your Country.